The Sun marks the Fall Equinox by moving into the sign of Libra on September 22. Libra is a sign ruled by Venus and it favors such matters as art, beauty, and home decorating. It is also a sign that favors romance and relationships. It also loves things to be in perfect balance. People strive to achieve the ideal when the Sun is in Libra. During this time, lovers become closer and friendships become more solid than ever. It is usually a time for bonding. The next thirty days are going to be full of charming gatherings, good times, and witty people. If you are an air sign, like Gemini or Aquarius, you are going to be popular. Your money picture is also going to improve. You could even get a new job or relationship if you are an air sign. On September 30th, the Sun conjuncts Saturn bringing more good news for air signs. Some of you could get married or a brand new place. However, watch out for Mercury in Virgo around then. A jealous person could be trying to get you in trouble. However, if you are a water sign such as Pisces, Scorpio, or Cancer you may have to watch out for some kind of social politics affecting your reputation the first week of October. This is thanks to planets causing trouble for sign. Here is how the Sun in Libra (from Sept. 22 to Oct. 22) is going to affect your sign. Jealousy could be a problem if you are too flirtatious with others. If you are single, your witty way with words could land you a very entertaining love interest. This is also a great time for you to buy new clothes, get a makeover, or buy works of art. Venus rules your sign and when it is in gentle Libra you become very kind, content, and loving. You may be thinking of popping the question to someone special. A change of residence could be indicated for you around the end of September. Watch out for a jealous earth sign who may try to sabotage your plans. The sun in Libra brings you a whirlwind of social opportunities and the chance to renovate or decorate a home. A lover is especially attentive and some of you may renew your vows. You are at your most popular and this is a great time for you to search for a new job or pitch new ideas to a client. You are likely to get the green light for anything that you try. The sun in Libra bodes a time of change and perhaps even a move to a new residence, but you will be quite pleased with these new developments. Your money picture improves and you will be a sought after guest at parties. Show off your cooking skills to good friends or take a cooking class. Buying new clothes or going to the spa or the salon is favored. Opportunities abound, but you have to be quick on your feet to notice them. Competition will be keen for you for most of the month of October and you may find yourself facing a few new rivals at work. You will be the most successful if you focus on your people skills rather than being efficient. This is a great time to indulge in favorite hobbies, like horseback riding or golfing. When the Sun is in your sign, it brings blessings of all kinds. Over the next 30 days, you will receive good news to do with your career and a romantic situation could become much more passionate and romantic. You could also get a piece of furniture or an appliance that you have been lusting after for quite a while. Cash windfalls and lottery wins are also associated with the Sun in a person’s sign. The 22nd, 23rd, and 24th are also great days for buying or planting flowers or buying works of art. 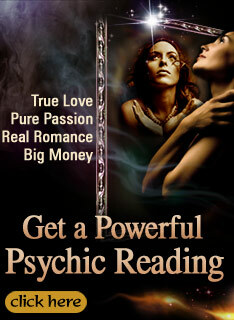 This month is a great time for you romantically and socially. Be sure to bask in the love and affection that surrounds you. You may even be in the mood to get hitched to someone special, especially around the first. However, beware of arousing the ire of a lover from the past who may be feeling vindictive. This is a good time for you to visit a spa or get a makeover. What a great month of partying, travel, and romantic adventure October will have to offer. You will spend many days during the Sun’s reign in Libra feeling quite carefree. Visits to museums and attendance at cultural or film festivals are indicated to you. If you are a freelancer, career success is indicated. If you have to buy a new appliance, this is a good time. You may have to fight off feelings of envy, as the Sun in Libra elevates those who you consider being less hard working or qualified than you to positions of prominence. For the next 30 days, it is in your best interests to keep working quietly behind the scenes without expressing how you really feel. Show off your skills as a host or hostess this month. Buying new furniture or art is also favored during this time. The world is going to feel like your oyster while the Sun shines in the friendly, progressive sign of Libra. Artistic or inventive Aquarians may be in for a big boost in income or in their career. Many single Aquarians could also find a true love this month. If you are attached, expect your love making to become more creative and intense. This is a great time for you to get a makeover. This promises to be a lovely thirty days for you with good news in just about every sphere of your life. Your cash flow will improve and you will have plenty of opportunities to socialize or enjoy a favorite hobby or past time. Just be careful of a jealous individual who may be spreading gossip about you. You could also hear strange news the first week of October. Stay away from delivering gossip as well, no matter how juicy it may seem! Right Leo is missing. I have been busy reading all the other signs I did not even notice Leo was missing until I read the comments. Well no news is good news. So you better not write anything negative about leos. We have enough to cope with at this time. I was having a chuckle reading the other signs. You people do not take these things serciously. They are just probabilities. It is not carved in stone. So lighten up. You've been forgetting Leo repeatedly lately. Is there a reason for this omission. I don't understand why the sign of Leo is not on this page. You forgot to mention Leo.